Discussion in 'Product Creation, Inventing, Importing, Sourcing' started by Panamera Turbo S, Aug 11, 2018. I recently launched a new course on Udemy where I teach people how to create from 0 their own PHP Shopping Cart website. And I am new Udemy. I would like to hear some fastlane feedback regarding this course to know if I proceed correctly and how can I improve it to make it better. Bellow is the link to the course. 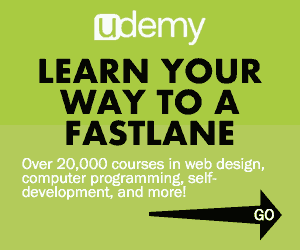 Use coupon FASTLANE0 to get the course for free (10 persons only) or FASTLANESALE to grab it for less. Thank you and I am waiting for your feedback guys! Wow! Awesome job putting all of that together. I’m not going to go through 30 hours of content to give you feedback but from watching your intro video video and reading the description and lessons I might have a couple suggestions that can help. I think the title you have doesn’t really give the impression that you are really teaching the core concepts of web development. It looks like if someone went through your course by the end they would have a pretty great understanding of the basics. I see lots of posts on here of people wanting to build their own website. I would highly recommend they take your course. 2. I would also think about changing your requirements list. If I were a looking for a course to teach me the core basics of web programming I would be intimidated that I need a basic understanding of OOP. The requirements make the course look like an intermediate course but the chapters and lessons don’t look intermediate, they look introductory. 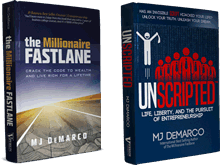 I worked in the online learning management space for a number of years and one of the best lessons I learned was that the high majority of courses purchased are introductory courses. I think your in a good spot to get some purchases. But seriously, great job putting that together. I know how much work goes into making that much content. It took me almost 2 months to create 29 hours of content. Indeed, your suggestions make a lot of senses and I will proceed so! Especially the one with title and requirements.